These presentation slides 47736 are complete compatible with Google Slides. Simple download PPTX and open the template in Google Slides. Enjoy this colorful template, created in a very peculiar manner. There are two kinds of color solutions, significant details of this template are jigsaw puzzles. 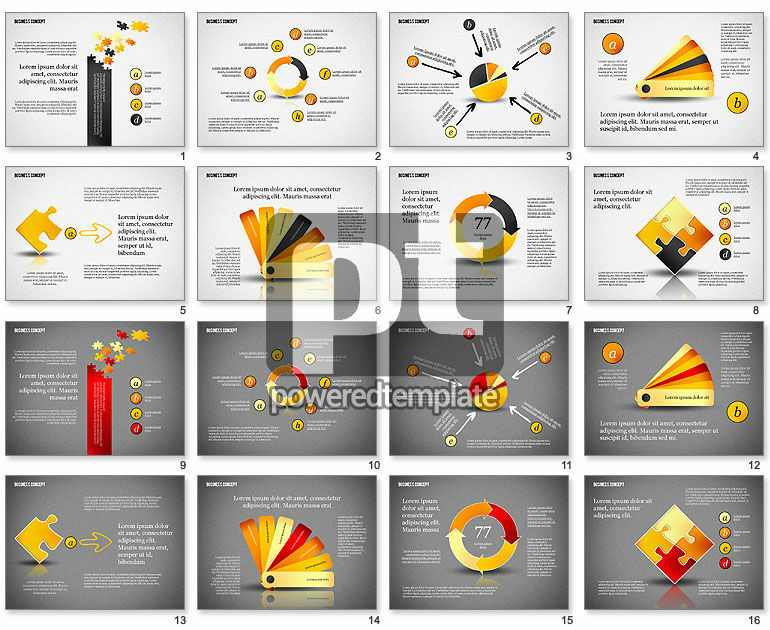 You can use this magnificent template in presentations dedicated to describing different processes in your business. This template is multifunctional and stylish, so it can be used everywhere in business, media, education, etc.